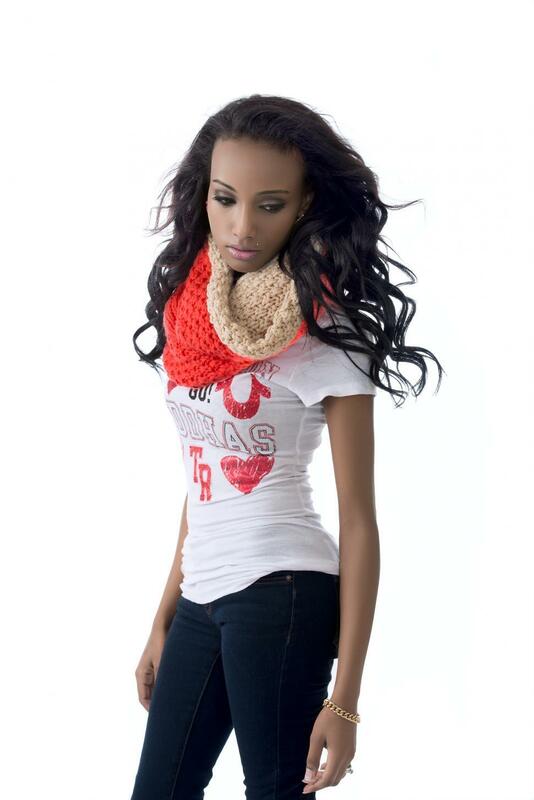 Attractive young African American woman stands in jeans and a scarf. This is a wonderful image! Thank you for making it available.